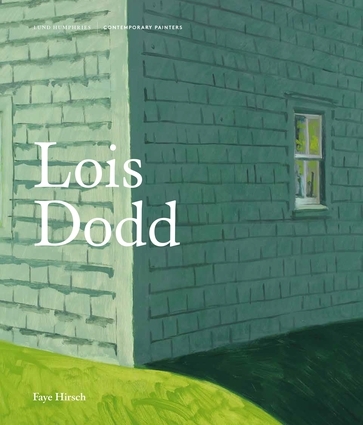 This book is the first monograph on the paintings of Lois Dodd. It provides invaluable analysis and contextualisation of her work alongside such New York City contemporaries as Alex Katz, Philip Pearlstein and other denizens of the Tenth Street milieu of the 1950s. Emerging from the shadow of Abstract Expressionism, Dodd and this circle cleaved to an observational painting based in the early modernist tradition. Beginning in the 1950s, Lois Dodd has steadfastly pursued her observational painting, remaining aloof from passing trends. She is widely admired as a ‘painter’s painter’ whose landscapes and city scenes display subtle effects of place, light and weather within graphically distilled compositions. Dodd’s works capture the intangible character of changing seasons or particular hours of day in locations throughout New York City, rural New Jersey and Maine, but the paintings betray no mark of era. They are curiously timeless. Through extensive studio visits and interviews, Faye Hirsch considers the processes, places and impulses behind Dodd’s paintings and reveals her outwardly peaceful, reflective canvases to be the product of an alert and forceful eye and a powerfully efficient execution. Faye Hirsch is an author, curator and critic who has published widely on contemporary art. She was senior editor of Art in America from 2003–2012 and has contributed articles to various journals and magazines including Artforum, Parkett and Flash Art. Since 2012 she has been Visiting Associate Professor and MFA Coordinator, Art + Design, Purchase College, SUNY.